Last night in Kingston, PA, audience members, both familiar and unfamiliar with the issue of gas drilling were gasping at the the games and manipulation of the industry as revealed by Triple Divide. Many heads were shaking as it all seemed unbelievable th at this is happening in America. Josh Pribanic, co-producer of Triple Divide, answered questions after the film which further expanded on some of the film’s topics. Many people were left with one undeniable message – Without Water There is No Life. If you were unable to attend, Triple Divide will be showing in many location across Pennsylvania in the coming months. 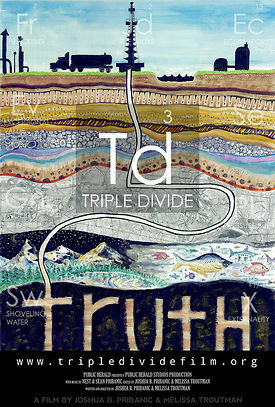 You can watch the Triple Divide on-line for a $13.00 donation. CLICK HERE.